Small - $179.99 Only 1 left! We have all heard the harrowing story of the evil wrought on the Land of Oz by the terrifying and powerful Wicked Witch of the West and were well raised on the rules. Stay on the path, avoid nasty apple trees, and definitely watch the skies for those creepy flying monkeys. But, is anyone ever prepared to come face to face with true magic? Of course, there is the other story of the Witch… one that offers her side of the tale and casts her as a dark woman whose actions are more understandable. We have chosen not to judge her too harshly, partly because anyone who manages to overcome the power of gravity more than deserves some respect but, also, because anyone with that much power shouldn’t be given too many cross looks. 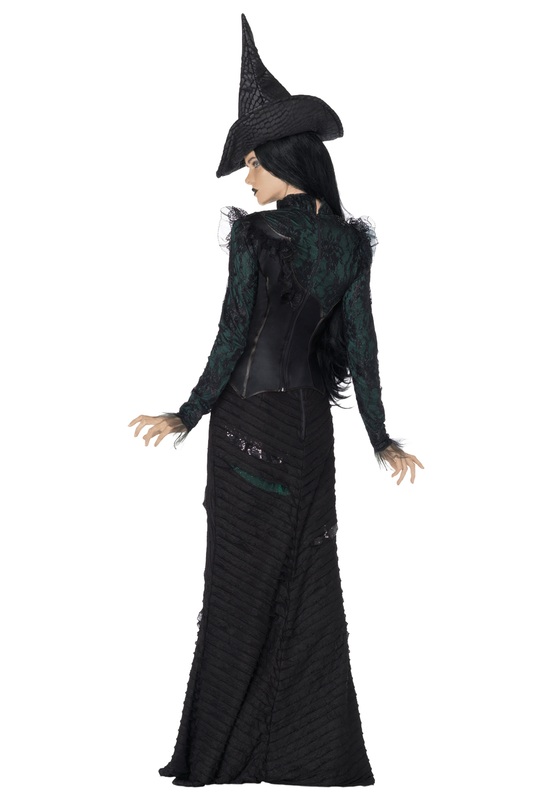 Defy the powers that hold you back, too, with this Deluxe Defying Gravity costume. The expertly fashioned princess seamed top has countless careful details and an asymmetrical look to show that you could never be accused of being predictable. The high collar and Victorian style gives you the high society appearance that you have more than earned and is deviously contrasted by green and black mesh accents that hint that there is something beneath the surface that is both compelling and frightening. 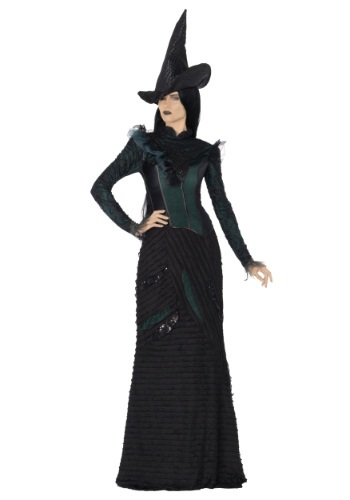 Will you be a good witch or a bad witch this season? Either way, you’ll leave a lasting memory. Just watch out for water, though… just in case.